Brush bottom of 10- to 12-inch heavy ovenproof skillet (such as cast iron) with oil. 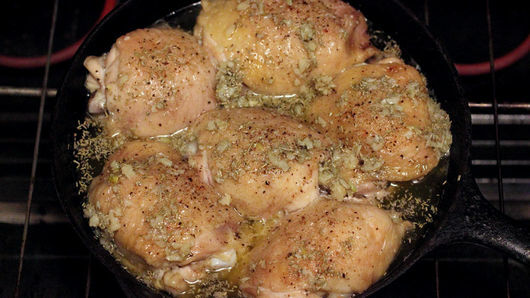 Place chicken in skillet; season to taste with salt and pepper. Place skillet on bottom rack in hot oven; bake 15 minutes. Meanwhile, melt butter in 1-quart saucepan over low to medium heat. 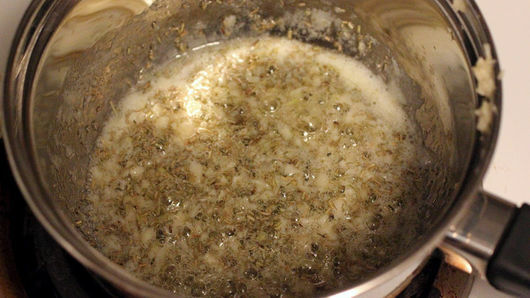 Add garlic and rosemary; cook 3 to 5 minutes, stirring occasionally, until fragrant. Remove from heat. 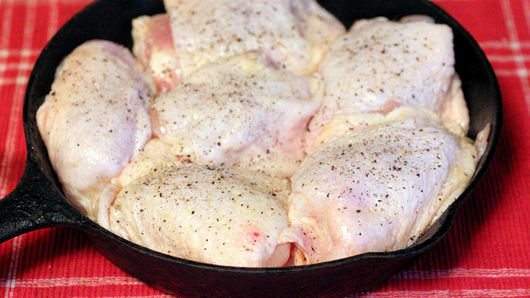 After baking chicken for 15 minutes, remove and discard half of rendered fat from skillet. Pour butter mixture over top of chicken. Bake 15 to 20 minutes longer or until juice of chicken is clear when thickest part is cut to bone (at least 165°F), and top of chicken in browned and crisp. Place sheet of foil over chicken until ready to serve. Serve with baked Pillsbury™ refrigerated crescent dinner rolls and cooked frozen whole green beans for a complete meal. Save some of the rendered chicken fat as a base for gravy. This rosemary chicken recipe spruces up a traditional household favorite with a little seasoning and just enough garlic. Often known for its tea-like aroma and pine-like flavor, rosemary is primarily used to cook meat dishes, such as lamb, pork, chicken and rabbit. This main course works well with a variety of side dishes. May we recommend some steamed vegetables or Pillsbury™ refrigerated crescent dinner rolls? 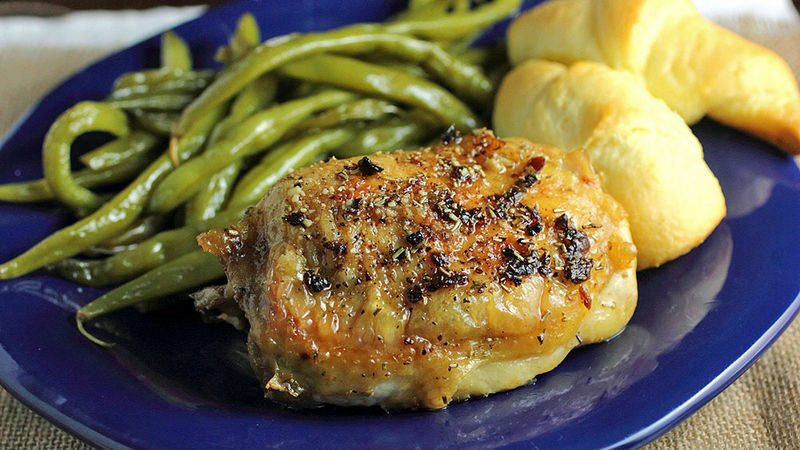 Now that you’ve mastered cooking chicken thighs, you’re prepared to take on a whole chicken next! If you’re not a fan of cooking in the skillet, you can switch it up and try our Rosemary Chicken and Potato Sheet-Pan Dinner as an alternative. Or, browse all of our foolproof chicken recipes and pick out your next favorite dinner.